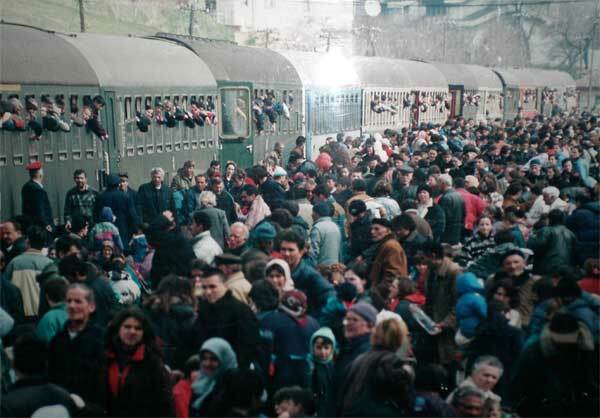 Prishtina train station, April 1999. Serb forces invaded and conquered Kosova in 1912 and held it, as part of Serbia and/or Yugoslavia, until they were expelled by NATO forces in 1999. The population of Kosova from 1913 to the present has been in its majority Albanian and, for the most part, these people regarded Serb rule as foreign occupation. One of the keystones of Serb policies throughout the twentieth century was thus to depopulate Kosova of its native (Albanian) population and repopulate it with Serb and Montenegrin colonists. The 1920s saw the rise of official Yugoslav government campaigns, some of them very violent, to depopulate the country. In September 1920, a “decree on the colonization of the new southern lands” facilitated the takeover by Serb colonists of large Ottoman estates and of land seized from Albanian rebels. By 1925, the government colonization programme, which had brought some 70,000 Slav colonists to Kosova, equivalent to about 10 percent of the total population, had raised the proportion of Serbs there from 24 percent in 1919 to 38 percent. In June 1931, a new Yugoslav law “on the colonization of the southern regions” entered into force and, in 1933, the Yugoslav government began negotiations with the Turkish government for the deportation of the Muslim population to Turkey. By 1935, an orchestrated wave of confiscation of land from Albanians was well underway. On 11 July 1938, expulsions to Turkey were formalized in the following Convention, in which the Government of Turkey agreed to take 40,000 families, receiving as compensation from Yugoslavia 500 Turkish pounds per family. Although there do not seem to be any accurate statistics of this emigration, estimates of the number of Albanians and other Muslims expelled from Kosova to Turkey between 1918 and 1941 range from 77,000 to 240,000. The stream of expulsions continued indeed up until the 1960s. have decided to conclude a Convention in order to regulate, in a spirit of profound friendship, the conditions for the said emigration and have to this effect designated their respective plenipotentiaries, i. e.
Subject to the benefits of the present Convention shall be Yugoslav Muslim subjects of Turkish origin and language and of Turkish culture. Not subject to the benefits of the present Convention shall be persons banned from entering Turkey under Turkish laws and regulations presently in force, nomads and Gypsies. Llap / Lab (Podujeva / Podujevo), Vushtrria / Vučitrn, Drenica (Skenderaj / Srbica). The Yugoslav Government shall decide in which regions emigration will begin. The number of families which the Turkish Government will accept from the regions specified under Article 2 and in accordance with the conditions of the present Convention shall be 40,000. The term 'family' shall be understood to mean persons of the same lineage and their children who, at the time of signature of this Convention, were living on an undivided common rural estate and under one roof. If these annual quotas cannot be realized as a result of circumstances, the two parties shall agree, through their respective legations, on the number of emigrants to be deported by the one side and to be accepted by the other, three months before the start of the period of emigration. It is understood, however, that any alterations in the annual number of emigrants shall not extend the six-year period of emigration for more than one year. The periods of annual emigration shall last from the beginning of the month of May until the 15th of October, with the exception of the contingent of emigrants for the first year, who shall only start to be evacuated by the beginning of the month of July 1939. This Convention on emigration applies only to the rural population of the above-mentioned regions. As to Turkish Muslims of the urban population of the above-mentioned regions, their persons and belongings shall not be subject to the provisions of the present Convention. Should they wish to emigrate to Turkey, they may do so as free emigrants in accordance with the emigration law in Turkey. In such cases, they shall be free to liquidate their rural and urban assets. They shall be accorded all requisite assistance from the Yugoslav Government for the transfer to Turkey of monies deriving from the liquidation of their assets and from the Turkish Government for their definitive entry permits into Turkey. Under the present Convention, the ownership of all rural immovables belonging to prospective emigrants shall be transferred to the Yugoslav state at the moment the Yugoslav Government presents the annual list of emigrants to the representatives of Turkey in Yugoslavia. As to urban immovables, they shall remain at the free disposal of their owners. It is understood that the Yugoslav Government shall only take possession of the above-mentioned rural immovables when the emigrants already specified on the list have left their domiciles for the port of embarkation. The Yugoslav Government gives its assurance under the present Convention that the present owners shall enjoy the full possession of their property until transfer of ownership to the Yugoslav Government. Once the above-mention property has transferred ownership, the Yugoslav Government shall dispose of it freely in accordance with the provisions of the law currently in force on the colonization of the regions of southern Serbia. Under this agreement, the Yugoslav Government shall pay to the Turkish Government the sum of 500 Turkish pounds per family, equivalent to a total sum of 20,000,000 Turkish pounds for all 40,000 families, irrespective of the number of members in each family. With the payment of this total sum, ownership of all the rural immovables of the emigrants shall be transferred, pursuant to Article 6, to the Yugoslav Government. With regard to rural movables and immovables belonging to the Muslim Community or vakufs, it is understood that this Convention shall have no bearing on the provisions of existing laws which regulate such assets. On the first of April and the first of October of each year, the Yugoslav Government shall pay a semi-annual instalment proportionate to the number of emigrating families to have been deported that year, a sum which may be decreased or increased according to their numbers. The payment of the amount indicated in the previous article shall thus be made in twelve instalments over a period of six years. 70% in dinars deposited at the National Bank of Yugoslavia in a current account credited to the Government of the Turkish Republic. The National Bank of Yugoslavia shall notify the Turkish Legation in Belgrade of each deposit as soon as it has been made and transferred to the said current account. The National Bank of Yugoslavia and the Central Bank of the Turkish Republic shall, in joint accord, stipulate the exchange rate from dinars to Turkish pounds for each day of payment. 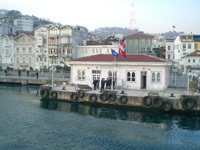 Funds deposited in the National Bank of Yugoslavia shall be utilized by the Government of the Turkish Republic for all types of expenditures and payments made in Yugoslavia for the purchase of all kinds of Yugoslav merchandise aside from goods presently unauthorized for export except by payment of foreign currency, i.e. copper, wool, hides, walnut wood, oil-seed fruits, olives, wheat and maize. The purchase of all these goods shall be made for export to Turkey. These goods shall be exempt from all taxes, duties and other export charges. It is also understood that such exports shall not be subject to regulations of any trade agreements signed or to be signed, but rather wholly to the provisions of the present Convention. Persons to be deported within the emigration period and who form part of the current annual quota shall be obliged to sign a written declaration in the presence of the Yugoslav authorities, pursuant to Article 55 of the current Yugoslav Citizenship Law, renouncing their Yugoslav citizenship. Such persons shall have the right to be considered immigrants under Turkish law from the moment the appointed representatives of Turkey have added their names to the annual list for emigration to Turkey. Emigrants shall be free to liquidate and to take with them all of the movable property belonging to them, such as personal effects, livestock or farm animals, equipment, machinery etc. for agricultural or industrial use or for the exercise of any profession. The Yugoslav Government shall, however, only cover transportation costs to the port of embarkation in Salonika for the emigrants, their movables, their used agricultural equipment and, for each family, four head of large livestock and ten head of small livestock, excluding their recently born young. For the transportation of additional livestock, the emigrants shall benefit from reduced tariffs in force. It is to be understood, however, that additional livestock will not surpass six head of large livestock and twenty head of small livestock, excluding their recently born young. The export of livestock, shall be carried out in line with the provisions of existing veterinary conventions, and veterinary certificates shall be issued to the emigrants free of charge. The emigrants shall also be free to import their personal jewellery, including necklaces of brazen gold and silver pieces worn by the womenfolk, each female emigrant being able to take one such necklace with her. In addition, each head of family shall be free to take with him, on his departure from Yugoslavia, a sum of 2,000 dinars in cash as well as foreign currency to an exchange-rate value of 4,000 dinars. With the dinars left over from the sale of their urban movables and immovables, emigrants shall be permitted to buy, on the domestic market, such merchandise as need not be purchased for export with foreign currency, such merchandise as is not prohibited in Yugoslavia and such merchandise as is not banned from import to Turkey. All such merchandise shall be exempt from taxes, duties and other export charges. The National Bank of Yugoslavia shall open a special current account at the Central Bank of the Turkish Republic in the name of the Government of the Turkish Republic in which all emigrants shall be free to deposit all or part of the monies in their possession in order to ensure their transfer by the purchase of merchandise in Yugoslavia. The National Bank of Yugoslavia shall give notice to the Legation of Turkey in Belgrade of each deposit, together with details about the depositor. The monies transferred to Turkey by the purchase of merchandise in Yugoslavia, shall be reimbursed to the persons in question by the Central Bank of the Turkish Republic. Funds, real estate and all other valuables belonging to minors or other persons under the care of a guardian or of a competent Yugoslav court shall be transferred and given over to the Government of the Turkish Republic which from that moment shall assume the responsibility for and the protection of such persons until they reach the age of majority or the end of guardianship in accordance with Turkish legislation. All Turkish Muslim youths whose families are registered in the annual lists for emigration and who are serving in the Yugoslav army, shall be released from military service immediately and shall be evacuated at the same time as their families. Similarly, Turkish Muslim youths living in a region in which the population has been designated for emigration within the current year shall not be conscripted. A special Commission shall be set up by the Yugoslav Government to prepare the detailed annual lists of emigrants with all necessary information on climate and on the trades and professions of the emigrants. These lists shall be submitted to the representatives of the Turkish Government and, once approved by them, shall serve as a basis for the issuing of Turkish passports and for calculating the number of emigrating families. This Yugoslav Commission shall be in constant contact with the Turkish delegates and, on their request, shall provide them with all the information they should require. The departure and embarkation of the emigrants shall be realized on the basis of collective Turkish passports which shall be issued to them by the consular authorities of the Government of the Turkish Republic in Yugoslavia. These collective Turkish passports, all necessary documents issued in advance by the Yugoslav authorities for the preparation of the lists, and the exit visas for the passports shall be absolutely free of charge. 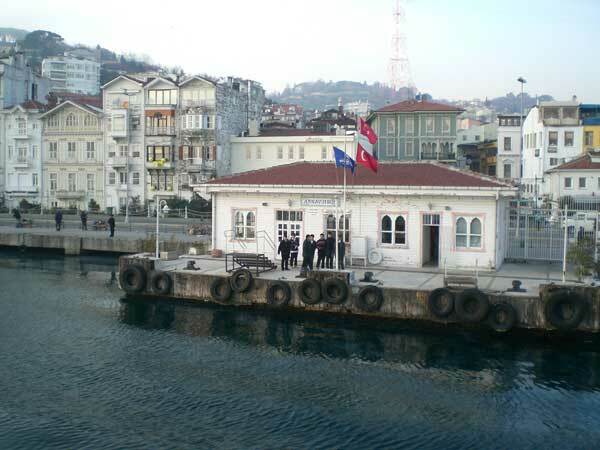 A Turkish-Yugoslav joint Commission shall be set up in the Yugoslav free zone in Salonika, composed of representatives appointed by the two Governments, who, in joint accord, shall take all measures necessitated by circumstance for the arrival, assistance and embarkation of the emigrants. This Convention shall enter into force on the date of its ratification by the two Governments. In testimony whereof, the respective plenipotentiaries have signed the present Convention and affixed to it their seals. Done in French in two original copies in the year nineteen thirty-eight. M.R. V.M. H. S. Dr C. A.